HANK PHILLIPPI RYAN: Doesn't it seem like everyone is taking photos of everything? It's almost as if it doesn't exist if there's no photo. But the talented Wendy Tyson--and if you haven't read her marvelous books, you're in for a treat--uses those photos as an entree into her books. What a great idea! Welcome to my dear pal Wendy Tyson--who uses her photos to inspire her writing life. And, she's learned, it's all about the journey. During my first fiction writing class in college, I wrote a short story titled “Transit.” It’s an admittedly somber story about a woman who becomes the family breadwinner when her husband is severely injured at his slaughterhouse job. The entire piece takes place during the protagonist’s bus ride to the slaughterhouse where she’s now going to work, and it focuses on her internal transformation as she comes to terms with what’s happened and how her life is about to change. The summer before I wrote that story I joined two friends on a backpacking trip through parts of Spain and Portugal. We didn’t have much money, and the Eurail passes we’d purchased provided both transportation and an uncomfortable place to sleep. The trip made an impression on me, not only because of the people we met or the places we saw, but because of the opportunity for introspection that’s afforded the traveler. Since then, my fiction has become decidedly lighter and more optimistic, but I’ve always been fascinated with the concept of the journey, however short or long. It’s a perfect vehicle for allowing our characters to grow or change. In FATAL FAÇADE, the fourth Allison Campbell mystery, which was released in June 2017, Philadelphia image consultant Allison Campbell travels to the Dolomite region of Italy to meet with a reclusive client. There, amongst the haunting mountain vistas and ancient castles, she finds murder—and acceptance. 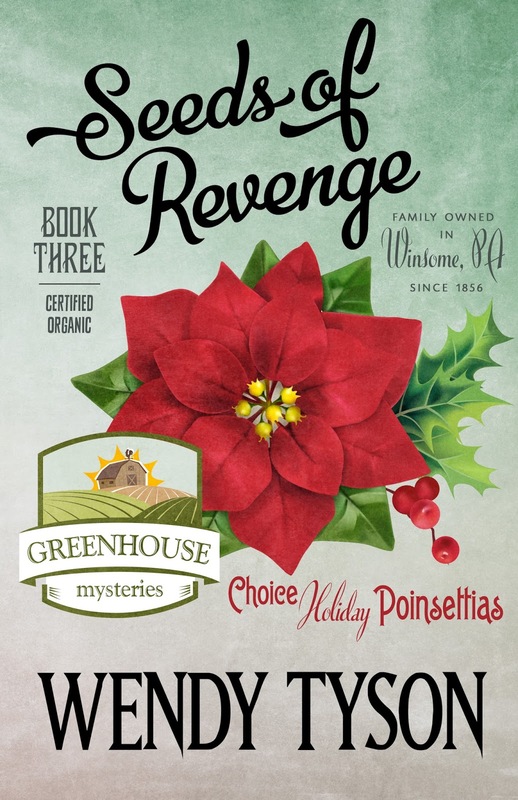 Likewise, SEEDS OF REVENGE, the third Greenhouse mystery, open with protagonist Megan Sawyer journeying home from Philadelphia during a snowstorm. She comes to the rescue of a stranded driver, and from that act mayhem and self-awareness ensue. But the journey isn’t an important tool only for the fictional beings among us; it can also be a source of inspiration for authors. 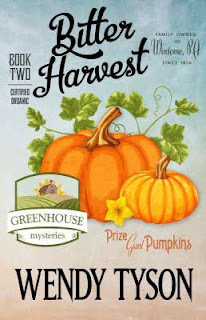 The Greenhouse Series was born after witnessing the interactions of shop owners in a small town in the mountains of North Carolina during a book signing. The exchanges I witnessed were nothing unique or unusual, but the new setting, the hours I’d driven in unfamiliar terrain to get there, and the feeling of being out of my element, provided fresh perspective that triggered fresh ideas. In fact, the act of traveling has become such an important source of ideas for my fiction that I’ve begun a photo journal to record moments that move me. Sometimes my subject is something grand that inspires a book, like an abandoned Italian castle (FATAL FAÇADE), a massive field of solar panels (BITTER HARVEST), or a walled convent (THE SEDUCTION OF MIRIAM CROSS). Sometimes, though, it’s something subtle that I might revisit later. 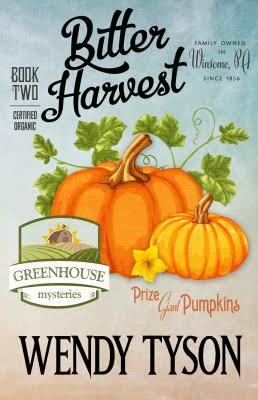 BITTER HARVEST, the second Greenhouse mystery, opens with Megan finding a red Adirondack chair that’s been left on a hiking trail, positioned so that it faces her house. That chair was real, only I came across it while hiking in Vermont (it wasn’t actually facing anyone’s house). At the time, the chair intrigued me so I snapped a photo. It wasn’t until later that I realized it would make a haunting opening to a novel. My family recently moved from Pennsylvania to Vermont. I travel back and forth to Pennsylvania regularly now, a five-hour car ride that’s become second nature. While I often find myself looking forward to the journey because it offers time in my head to explore ideas, there’s risk in retracing a well-worn path. To keep it fresh, I make a point of looking for something new every time I go. A few weeks ago, during the leg of the drive that winds through upstate New York, I saw a man walking along a lake on a lonely stretch of road. Dusk was just beginning to fall, and he cast a long shadow on pitted pavement. I couldn’t stop to take my customary photo, but the image stayed with me—and it’ll be the basis for Greenhouse Mystery number five. HANK: Oh, I can’t wait to hear about it! And you know, the say there are only two plots. One, a person goes on a journey. Two: a stranger comes to town. And, thinking about hat, that’s the same story. From different points of view. Hmm. So Reds, if someone was walking down YOUR street, what interesting thing might they see? Hmm I see a big hedge that--overnight—was run into and smashed by…something. There’s a story, right? How about outside your window? And—have you ever used a Eurail pass? I always thought that was the coolest thing. And what's your favorite book about a journey? Wendy Tyson's background in law and psychology has provided inspiration for her mysteries and thrillers. Originally from the Philadelphia area, Wendy has returned to her roots and lives there again on a micro-farm with her husband, three sons and three dogs. 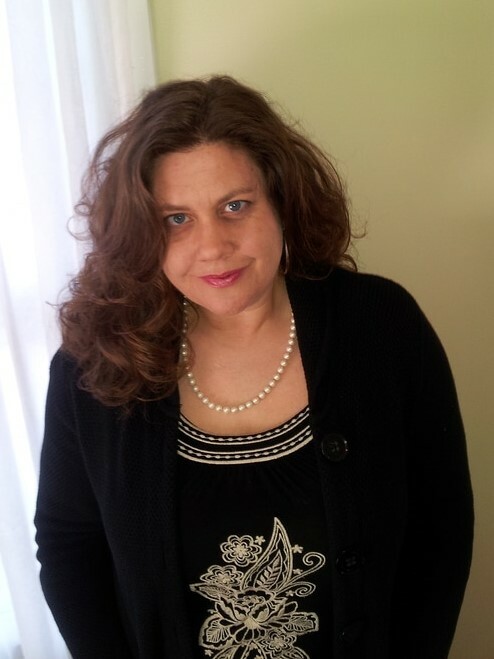 Wendy’s short fiction has appeared in literary journals, and she’s a contributing editor and columnist for The Big Thrill and The Thrill Begins, International Thriller Writers’ online magazines. 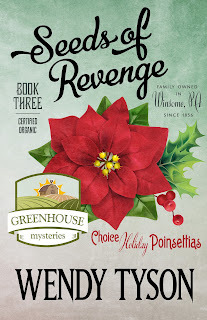 Wendy is the author of the Allison Campbell Mystery Series and the Greenhouse Mystery Series. Megan Sawyer is determined to farm year-round. So much so that she braves a December snowstorm to pitch her fresh greenhouse greens to Philadelphia chefs. And then she sees a stranger stranded on the side of the road. But this woman is no stranger to Winsome. It’s Becca Fox. A love chemist (you read that right). She’s headed to her aunt’s house to sell her love potions at holiday events. Or so Becca thinks. Her sneaky aunt only invited Becca home to reunite her with her estranged father. It sounds noble and kind-hearted, until the man ends up dead. Megan soon finds herself in the middle. She realizes Becca’s not the only one getting iced over. Megan’s own aunt, the famous mystery author, is dragged into the drama. Now it’s personal. Our Megan must follow a cryptic trail of literary clues, all while sifting through the victim’s sordid past. As she gets closer to the truth...the murderer gets closer to her.